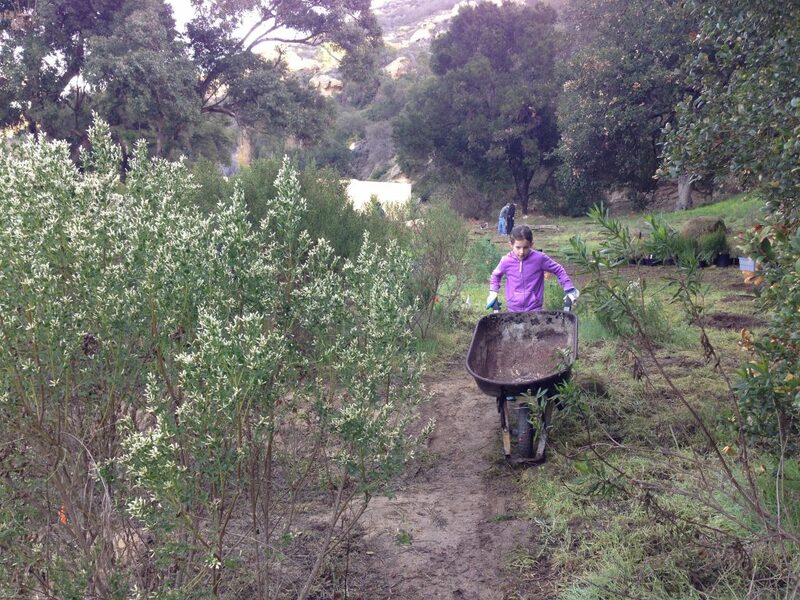 The Chapman family volunteers with the Laguna Canyon Foundation to help preserve Laguna’s open spaces. 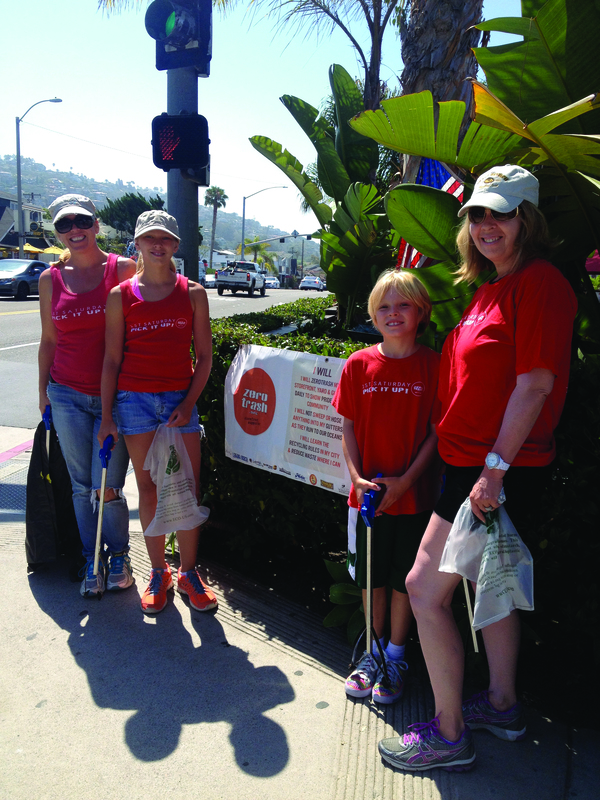 Laguna’s parents and kids take pride in working together to help the community. Hannalie and Gavin Greene, ages 11 and 7, respectively, can often be found helping set up chairs and tables for the monthly meeting of Transition Laguna Beach, a grassroots group that installs edible gardens and takes on water- and energy-conservation projects to reduce dependence on petroleum. With their parents, Taylor and Cindy Greene, the kids enjoy working for a cause in which the family firmly believes: self-sustainable living. The same is true for the Chapman family—Jonathan, Jennifer and 10-year-old twins May and Ophelia—who volunteer for the Laguna Canyon Foundation because they love the outdoors and want to help preserve and protect Laguna’s open spaces. Meanwhile, single mom Katie Ford and her daughters, Hana, 11, and Sydney, 8, participate in ZeroTrash Laguna’s monthly cleanups to keep garbage out of the ocean. 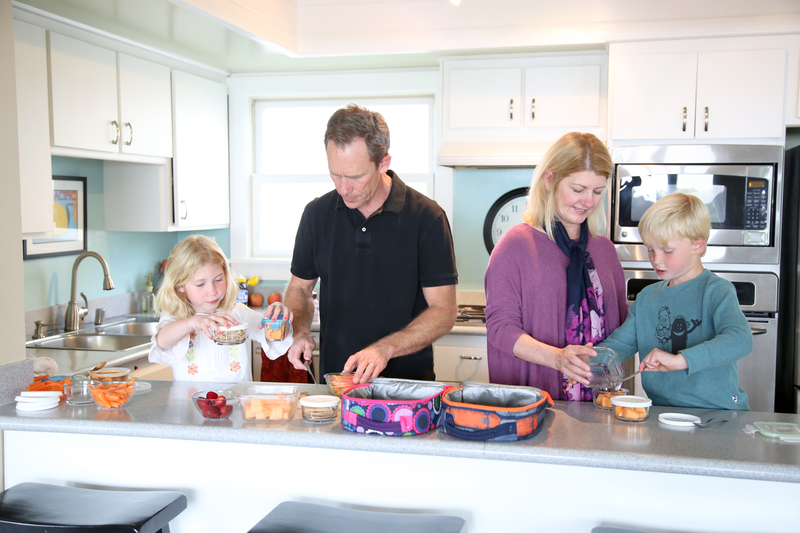 And Peri Doshi-O’Neill, her husband Craig O’Neill and children, Gavin, 8, and Sarina, 5, assist the Laguna Food Pantry and Friendship Shelter to help people in need. For these families, community service brings as many benefits for both the adults and younger philanthropists as it provides for others. Volunteering creates bonding time while also instilling in children a desire to give back—a quality inherent in the Laguna community, now entering the annual charity gala season to support a host of worthy causes. The Greene family volunteers with Transition Laguna, which gives them the chance to bond and be outdoors. “I really believe volunteering together strengthens families,” says Kathleen Wenger, a marriage and family therapist from Laguna Beach Counseling. “It helps them stay in regular contact, and working together on a common project can increase self-confidence and pride. It gives children the opportunity to develop life skills through civic responsibility and helps shape the child and what kind of adult they will become. They learn the importance of being dependable and on time and they experience satisfaction from helping others. The Ford family cleans the streets on the first Saturday of every month with ZeroTrash Laguna. For nearly two years, Katie and her daughters have gathered on the first Saturday of each month to pick up trash from the street as part of ZeroTrash Laguna’s efforts to keep the ocean clean. The ritual started after she found the organization when searching for a way she and her kids could give back together. Jennifer and her daughters also have worked with ZeroTrash and they have helped at the Food Pantry, in addition to their more extensive work with Laguna Canyon Foundation. She believes the volunteer work they do is helping the girls establish a pattern of spending their time on something more than Harry Potter books and the playground. For Peri and her family, volunteering at the Friendship Shelter and food pantry came about because Gavin attends the Community Learning Center, which aims to instill a sense of community service in its students. Peri worked with the food pantry to create a food collection project for Gavin’s class, speaking to the students about food scarcity, then encouraging students and their parents to collect food, bring it to the pantry and sort it into bins and onto shelves in different categories for people to select from. Craig and daughter Sarina also helped out. A project benefitting the Friendship Shelter, also organized through the school, takes place each holiday season. Just before Christmas, the school’s families collect socks, gloves, toothbrushes, towels, sheets and other items to create gift baskets for shelter residents. The children elaborately decorate the baskets and each resident receives one. What do the Greenes and other families enjoy most about their work for their chosen Laguna nonprofit organizations? The responses are as individual as the family members giving them, but they all revolve around a sense of shared experience and making a difference. 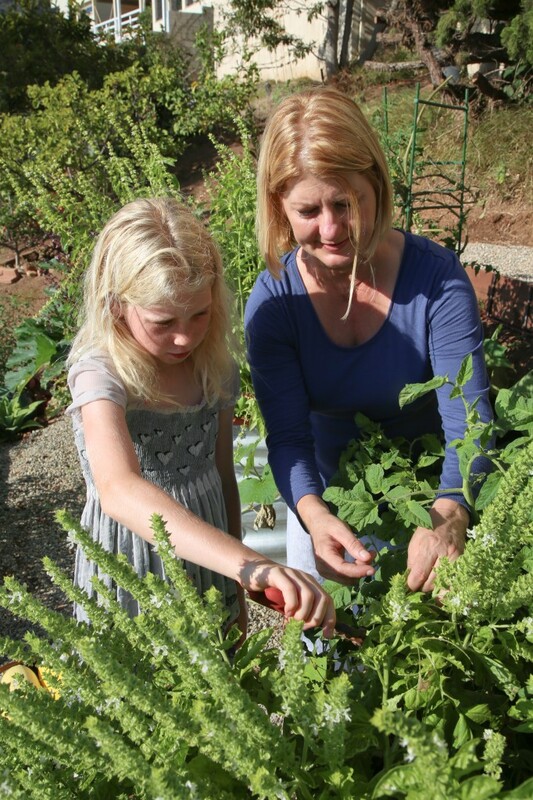 Cindy Greene and her daughter work in the garden. Making a difference in a big way is also something that young Gavin O’Neill likes about helping at the food pantry and Friendship Shelter. “I think it is important because it will help keep people alive,” he says, adding that it’s especially fun helping at the Food Pantry and he enjoys sorting the food. Pride and self-confidence, a sense of being part of a larger world and practical skills are just a few of the ways volunteering benefits children and their families—all the while bringing themselves closer together.